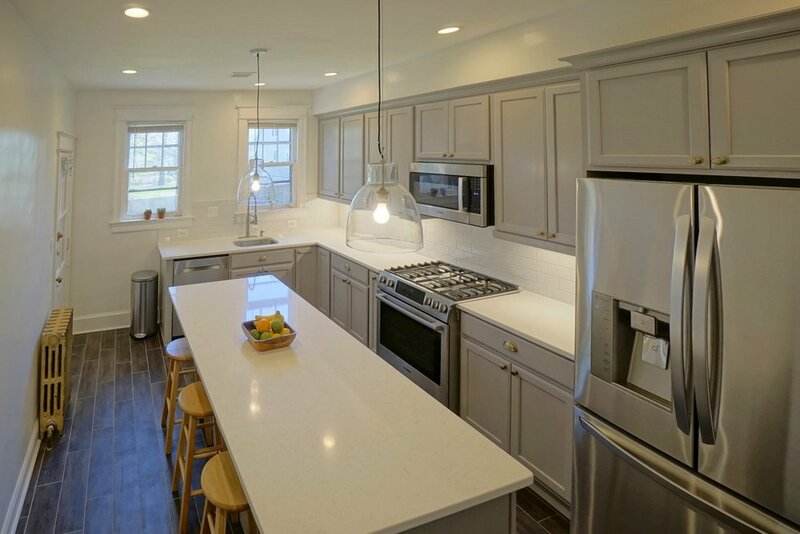 We are a licensed home design/remodeling company serving the greater Washington, DC area, including the District of Columbia, suburban Maryland, Virginia, and Baltimore. Find out the real costs of your kitchen remodeling project and get free advice from our experts. Electricians, plumbers, HVAC specialists, carpenters, masons, roofers, and architects – we have a specialist for any remodeling task. Everyone on our team has years of experience with projects ranging from single-room residential work to remodels of major government facilities. Our experts will help you improve layouts, offer sound advice, and maybe even suggest a few ideas you had not considered. Real-time quality tracking means that your project will be checked for quality at every stage in the process to keep it on schedule. It also keeps our prices competitive. Rest assured that all tools and implements will be secured during and at the end of each workday and that all adjacent spaces will be protected from dust and debris. We strive to make the bathroom remodeling process as stress free as possible and to create the least possible disruption to our clients’ lives. Alex and Amy, a young couple who have moved to Maryland form New York and bought an old house here, found us on Yelp website. Exceptionally well-run company with employees who are professional, competent, and very polite. They take pride in doing a job to the best of their ability and work well together. Everyone who worked on this project made every effort to provide the best work possible and to complete the work in a timely manner; the cost was well under other bids by larger companies. I would recommend this company to anyone who appreciates professional work and competence. When you are biting off on remodeling a kitchen there is a ton of anxiety, especially since most places can only think in terms of Victorian old-school design styles, which we didn’t want. We knew we wanted something edgy, contemporary that looked really European. From the first meeting, through project completion we knew we picked the right team for this project. The results were amazing – we love our new kitchen – thanks guys! Beautiful work done. If I had any problems, the owner Tomas addressed them quickly. If I left a message he always called back. The work started on time every day, and was done fairly quickly. I would consider them for other work I need done on my house.